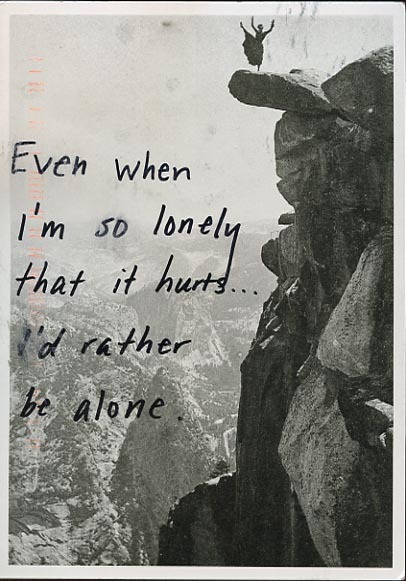 Yes, it's that time of the week again when I check PostSecret for the secrets people send and find those that I could relate to. This week, I am choosing two and while it could be read and taken separately, I am however intrigued with how the first one could potentially be connected with the second one. Here's the first one. It's about twins and based on what the sender wrote, I could only assume that he's somehow bitter. 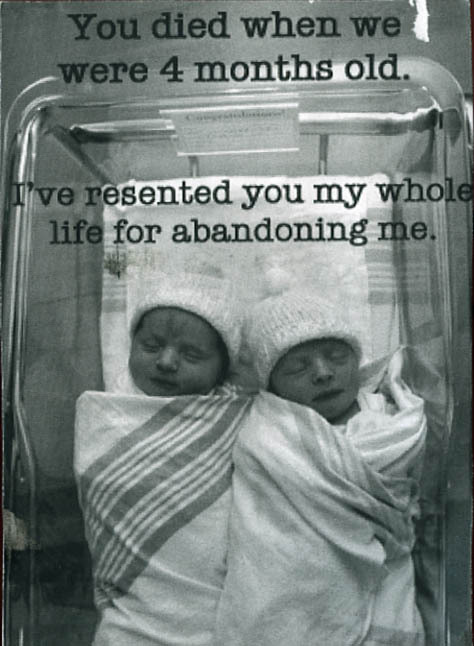 He thinks that the death of his or her twin is a sign of abandonment. I, too, lost a twin when we were merely 7 months old but there never was a time in my life that I thought of his death as him leaving me. Instead, I've dedicated my life, and the way I lived it, to honoring his memories. At times, I can't help but wonder if I would be the same man I am now had he been alive. Would I be as smart? Would I be as kind and generous? Would I be as eccentric? I don't know and I guess I'll never know. But one thing I do know though is that for the rest of my life, I will honor him in ways I can and it started with not ever thinking that he abandoned me. The thought of continuously honoring my twin brings me to the second secret below. It is always said that when one is lonely, one needs to reach out to family and friends to overcome that loneliness. The aforementioned statement is fundamentally true but personally, for me, when I'm lonely, there are times when I am better off alone to deal with the loneliness. I am not saying that I don't need my support system, what I'm saying is that there are times when I prefer to be alone. And while it goes against the whole 'don't be alone when you're lonely' system, it works for me. In fact, there are specific days in a year when I choose to be alone. And it is during these days that I thank my departed twin for everything he's done for me.